A computer network consists of two or more autonomous computers that are connected together in order to share resources (files, printers, modem etc), share application, allow electronic communication etc. 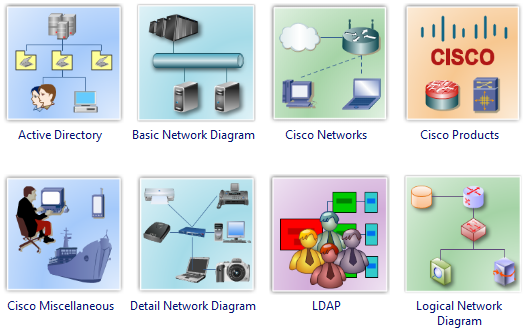 A computer network includes the network operating system in the client and server machines, the cables, which connect different computers and all supporting hardware in between such as bridges, routers and switches. In wireless system, antennas and towers are also part of the network. In LAN, computers are connected locally within a room, building or in a small area. LAN can range from simple (two computers) to complex (hundred of computers and peripherals).LANs connect workstations and personal computers. User can share data as well as devices like printers, fax etc and can use LAN to communicate with each other, by sending e-mail or chatting. Examples of LAN Technology: Ethernet, Token Ring, and Fiber Distributed Data Interconnect (FDDI). Configured to small area i.e. it connects several devices over a distance of 5 to 10 KM. Data and hardware sharing between users. In bus topology, all devices are connected to a central cable, called the bus or backbone. The bus topology connects workstations using a single cable. Each workstation is connected to the next workstation in a point to point fashion. All workstation connect to the same cable. An extension to the bus topology is tree topology. Installation is easy and cheap. Connections are simple and easy to use. Data can be transmitted from the both sides. A single fault in the cable stops all transmission. Fault identification is difficult. In ring topology, all devices are connected to one another in the shape of a closed loop; so that each device is connected directly to each other i.e. the ring topology connects workstations in a closed loop. Data is transmitted around the ring in one direction only. Each station passing on the data to the next station till it reaches its destination. The common implementation of this topology is token ring. Easy to install and modify the network and fault isolation is simplified. Adding or removing computer disrupts the entire network. A break in the ring can stop the transmission in the entire network. Finding fault is difficult. Star topology uses a central hub through which, all components are connected. A central hub is the host computer and at the end of each connection is a terminal. Communication on the connecting links between the stations and the central station of star topology can be bi-directional and are point to point. Expansion or modification is easy. Single computer failure does not affect the network. Failure in the central hub brings the entire network to halt. Tree topology is LAN topology in which only one route exists between any two nodes on the network. It is similar to the star topology but the nodes are connected to the secondary hub, which in turn is connected to the central hub. Installation and configuration of tree network is easy. Less expensive when compared to mesh topology. Failure in central hub brings the entire network to a halt. More cabling is required when compared to bus topology. Devices are connected with many redundant interconnections between network nodes. In a well connected topology, every node has a connection to every other node in the network. Mesh topology are used in critical connection of host computers [typically telephone exchange]. Alternate path allow each computer to balance the load to other computer systems in the network by using more than one connection path available. Failure in one of the computers does not affect the entire network. Privacy between computers is maintained as messages travel along dedicated path. Amount of caballing required is high. A large number of I/O ports are required. *To get the concept, read the Computer Networks Definition, Types, Characteristics, Topology.